Simple recipes require the very best of ingredients. Chocolate Pots is a simple recipe and deserves good chocolate as the main ingredient. I used Hadleigh Maid Dark Chocolate Buttons for Baking, which are made with care by a small family business based in Suffolk whose expertise and passion as chocolatiers, since 1976, goes into making chocolate buttons which are easy to melt, perfect for baking and still smooth enough for snacking. 1. Put the cream and chocolate buttons into a saucepan and gently heat, stirring frequently until the chocolate has. melted, do not boil. 2. Mix together the sugar, egg yolks and whole egg, then stir in the chocolate cream. Strain the mixture into a jug then fill 4 small ramekins or small ovenproof cups. 3. Preheat the oven to 150C, place the ramekins in a roasting tin and fill around them with boiled water from the kettle up to about 1cm. 4. Bake for about an hour until lightly set, they should still wobble slightly. 5. Leave to cool, then chill for at least an hour. To serve, top with whipped cream or creme fraiche. You can easily double or treble this recipe for a larger gathering and it makes a perfect dinner party dessert because you can make it before hand and leave chilling in the fridge. 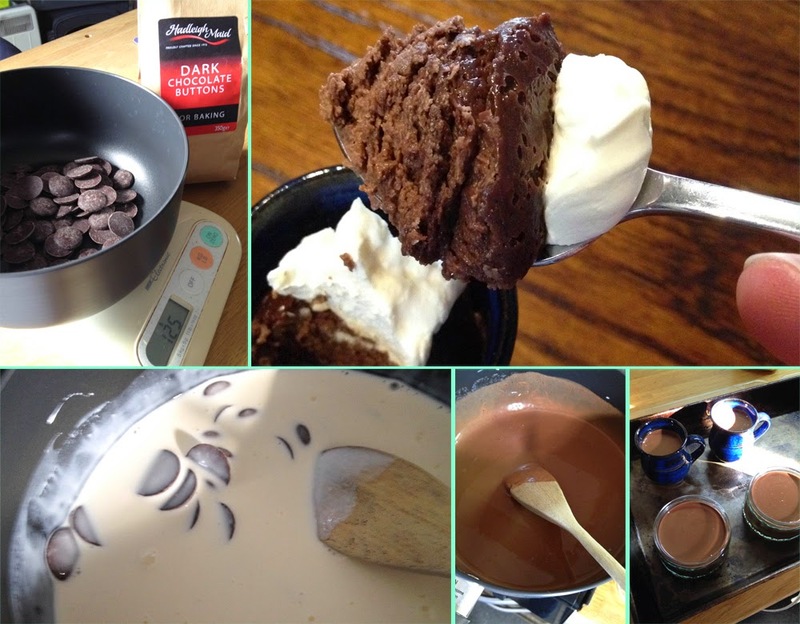 I found that the Hadleigh Maid Dark Chocolate Buttons melted smoothly and quickly in the cream. The flavour of the chocolate is rich but not bitter and it retained it's character after baking into the little pots of chocolate dessert which were rich and creamy but not over sweet or cloying. 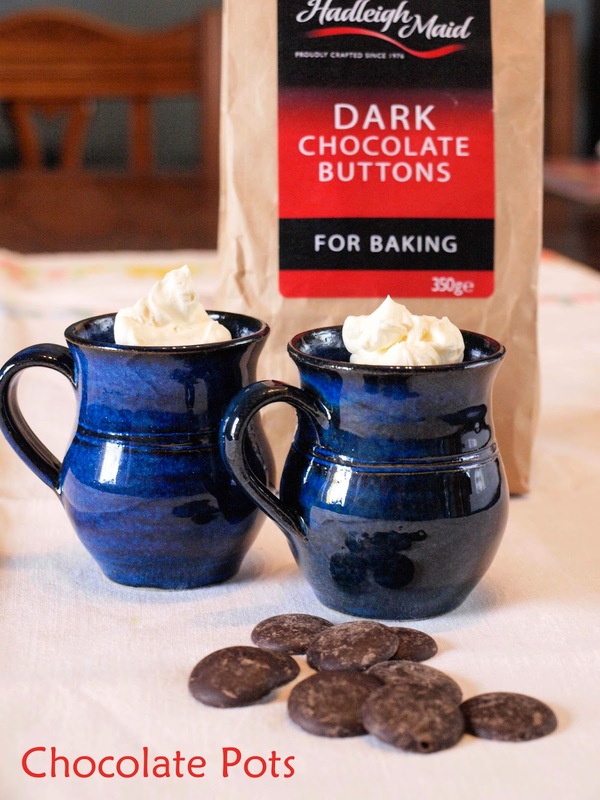 Hadleigh Maid Baking Buttons come in 350g bags, in three varieties: white, milk and dark chocolate. I tried all three and they were all easy to use, high quality, honestly made and crafted with integrity. They also come in a handy bag which is easy to fold down and reseal. If you would like to try these buttons yourself, I can thoroughly recommend them, and although currently not stocked all over the UK (stockists), the good news is that from mid November you can buy them online direct from Hadleigh Maid RRP £3.50 for 350g bag. 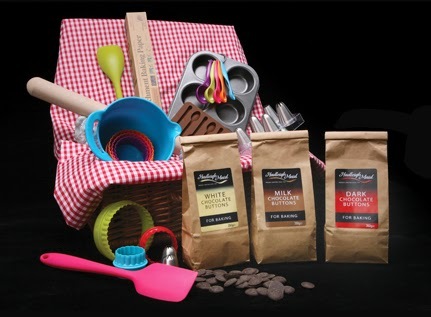 There are lots more chocolate options on the website including boxes, slabs and walnut whirls. Hadleigh Maid are also about to launch a personalisation tool, meaning users will be able to upload an image which will be printed on a bar or box of chocolates. Great for corporate gifts or wedding favours. these look gorgeous and a fitting addition to #chocolateweek. I love easy desserts like these Janice. You have got me craving a chocolate fix. Thanks Karen, a little treat! Thank you. They are really simple to make. Yes, the little espresso mugs have attracted a lot of attention! Hadleigh Maid are new to me too, but very good chocolate for baking. That chocolate pots looks great! Janice thanks for that nice recipe.